Hotel Arriva, London. Arriva Hotel London. Arriva Hotel is centrally located in London only minutes away from King’s Cross rail station. Our hotel offers fully equipped facilities and a reliable and attentive staff to meet all your needs. 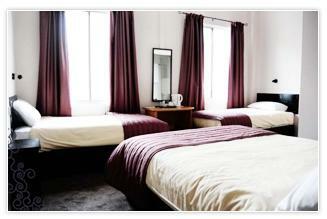 We provide en suite rooms throughout the hotel equipped with color TV and wireless Internet access. All the major sights are easily accessible via public transportation. This is the perfect location whether for business or pleasure.